Consider a career in commercial real estate without corporate interference - or limits on your potential. Imagine your future with a well-known, global network that helps you run your business your way. RE/MAX Commercial is that network. Your future is now. What will you do with it? For more information about joining RE/MAX Revolution Commercial, please contact Tim Mason, timmason@remax.net 812.664.0845. You’ve come to the right place. Whether you’re looking to specialize in your preferred market segment – or expand into every product type out there – the choice is up to you. It’s the difference between being an employee and being an entrepreneur. Part of RE/MAX Commercial’s success comes from the tremendous amount of referrals exchanged between Practitioners and a network of over 120,000 RE/MAX agents worldwide. The opportunity to give and receive referrals from this expansive network is available to you the day you join. Nobody else can say that. For more information about joining RE/MAX Revolution Commercial, please contact Tim Mason, timmason@remax.net 812.664.0845. RE/MAX Commercial, part of the world’s most productive real estate network, a leader in the commercial and investment arenas. RE/MAX Commercial delivers a level of awareness, trust and confidence that competitors simply can’t match. RE/MAX Commercial Practitioners have access to the industry’s top training system, corporate support services and a powerful referral network – more than 120,000 Sales Associates. And a presence in over 100 countries and territories. 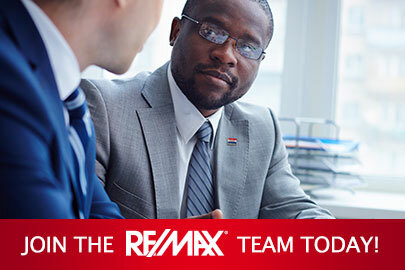 The RE/MAX network includes more than 550 Commercial officers and divisions. What does this mean for you? A better way in Commercial Real Estate. Tell us what you need, and we’ll get it done. With a more than 40-year track record of professionalism and customer focus, we understand the long-term value of every transaction, large or small. Work with us once and you’ll realize the competitive advantages we bring to the table.